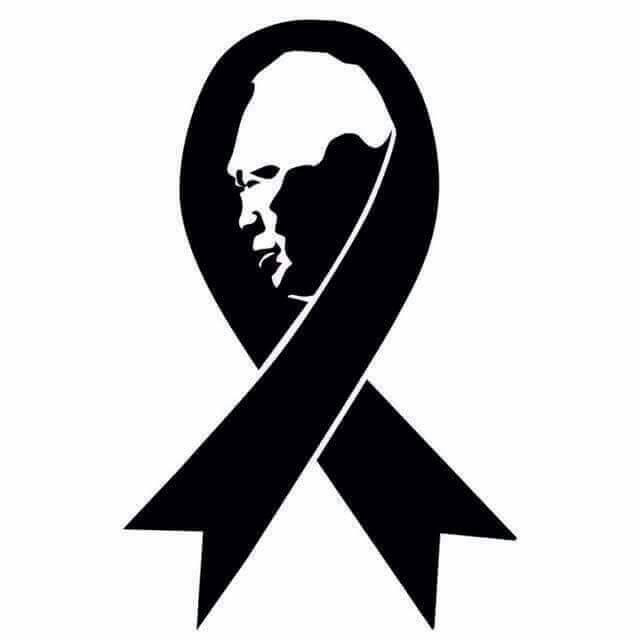 Goodbye Mr. Lee Kuan Yew! It is with the heaviest of heart that I share our country’s bereavement, the passing of our founding Prime Minister, Mr. Lee Kuan Yew. Mr. Lee was a man not just of ideas but actions! A man of great vision! And that vision has brought Singapore to where she is now – a safe place to live, work and play. Photo from the Prime Minister’s Facebook account. Visionary, authoritarian or even a tyrant! He’s been called worse. Photo sent by an overseas friend on text message. 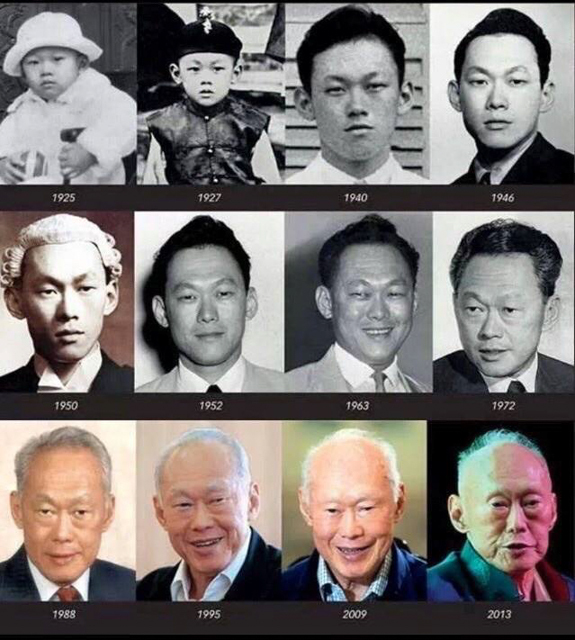 Mr. Lee Kuan Yew… Visionary, authoritarian or even a tyrant! He has been known to speak his mind freely bluntly. Nevertheless, he is a man with lots to brag about; dues paid in full, may his soul rest in peace. Our nation lost someone great today. 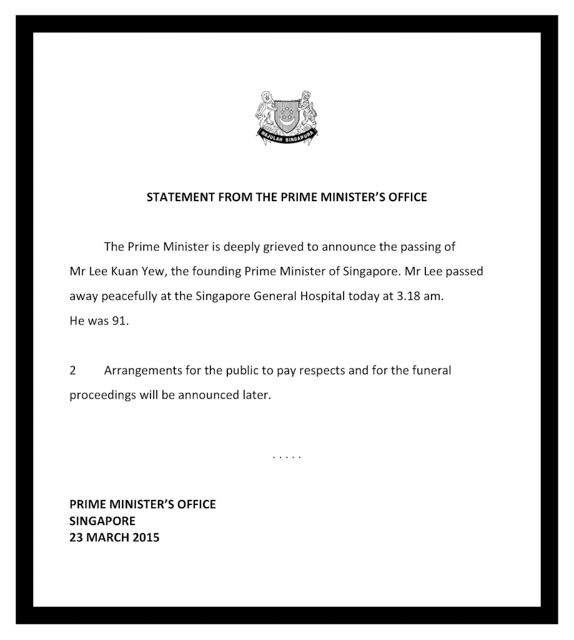 My deepest condolences to our Prime Minister Lee Hsien Loong and family on the passing of their beloved father, Mr. Lee Kuan Yew (1923 – 2015). Update: The period of National Mourning will start from Mar 23 to Mar 29 (Monday to Sunday) and a State Funeral Service will be held at 2pm on Sunday. A life lived well … may he rest in peace. Thanks Michael. Indeed he did not squander his life. May he rest in peace. 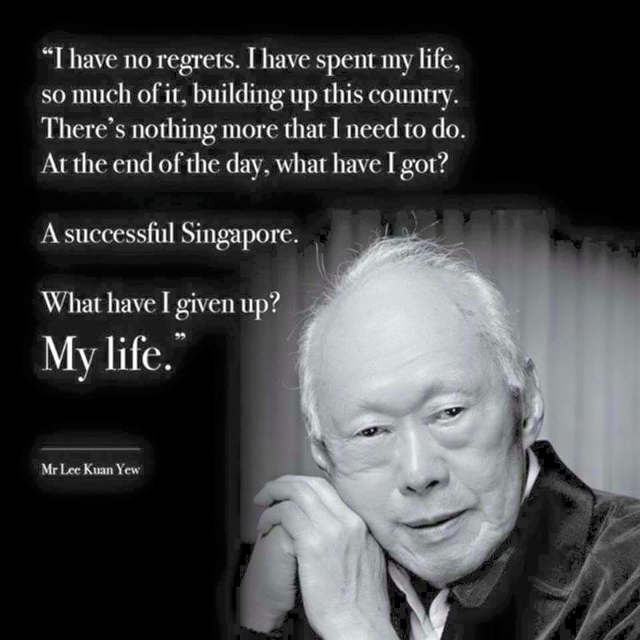 An important and remarkable man, who did much in the service of Singapore. Obviously a huge loss, but the legacy remains.